Racial and ethnic discrimination is problematic for all aspects of development — from mental and physical health to risky behaviors and academic success — according to researchers at The University of Texas at Austin. AUSTIN, Texas — Racial and ethnic discrimination is problematic for all aspects of development — from mental and physical health to risky behaviors and academic success — particularly for Latinos, researchers at The University of Texas at Austin determined after analyzing findings from hundreds of previous studies on adolescents. The latest study, published in the American Psychologist, considered 214 previous studies comprising 91,338 adolescents and measured 11 distinct indicators of well-being. “Essentially, we are combining all the existing evidence to be able to clearly state that racial and ethnic discrimination influence all aspects of adolescents’ daily lives and well-being,” said lead author Aprile D. Benner, a UT Austin human development and family sciences associate professor and faculty research associate in the Population Research Center. Understanding racial and ethnic differences begins quite early in life, researchers explained. Studies have shown that before age 5, children begin grouping themselves by race or ethnic background, and awareness of stereotypes tied to skin color or ethnicity emerges in middle childhood. By age 10, many children can recognize both overt and covert discrimination. 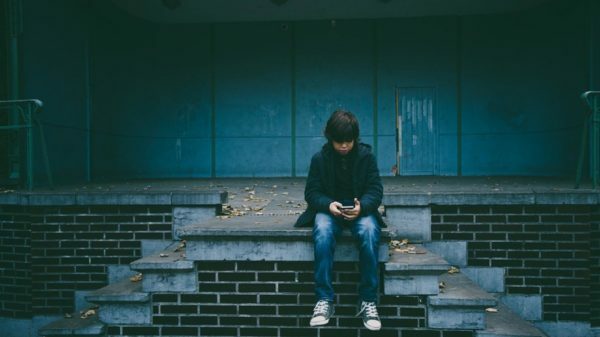 Experiencing such discrimination is consistently linked to poorer mental health, lower academic achievement and more engagement in risky or negative behavior, the latest analysis showed. “We believe these negative effects early in life are setting the stage for the racial and ethnic disparities that we see across life-course outcomes in adulthood,” Benner said. Some demographics fared worse than others — particularly, Latinos — researchers found through pooling the correlations between discrimination and different aspects of adolescent adjustment and comparing those across racial/ethnic groups. Those with Latino or Asian backgrounds were at greater risk for the negative effects of discrimination on depression and other mental health issues than African Americans. The researchers also found that discrimination was more detrimental to Latino males’ academics, compared with Latinas and African Americans. The researchers theorized that Latinos experience a type of discrimination in which they are viewed as “perpetual foreigners.” Additionally, they suggested that African American youths may benefit from their families’ use of socialization strategies to prepare their children for the biases they may face in their daily lives. Researchers suggest future studies must think more critically about how the field measures racial and ethnic discrimination in these populations; investigate and clearly report factors that might protect youths from the negative effects of discrimination; and place a greater focus on the intersection of discrimination tied to race or ethnicity with mistreatment linked to other social identities that are vulnerable to stigmatization.